WASD journals promote a coherent approach to solving global sustainability problems through science and technology. A holistic approach is used to critically examine the interrelationship between the natural, governmental, economic and social dimensions of our world and how science and technology can contribute to solutions. The global nature of our journals is reflected in the varied national and cultural origins of the contributors, as well as the topics and case studies covered. All of our editorial committees are truly international in terms of their interests and range of specialization. The academic expertise that they bring to bear on the quality of the review, as well as their geographic areas of interest, fosters a uniquely different editorial experience. WJSTSD is a forum for academics, practitioners and policymakers from around the world to exchange concepts, research, and best practices about science and technology and to provoke forward thinking on the development of a more coherent approach to solving global problems related to sustainable development (SD). WJEMSD is a forum for academics, practitioners and policymakers from around the world to exchange concepts, research, and best practices about entrepreneurship and management. The journal aims to integrate the study of these disciplines to achieve SD and help to stimulate debate amongst scholars, researchers and policymakers across the world with a view to defining common, effective responses to tomorrow’s challenges. IJIKMMENA is a forum for academics, practitioners and policymakers from around the world to exchange concepts, research, and best practices about innovation and knowledge management (KM) in the Middle East and North Africa (MENA). 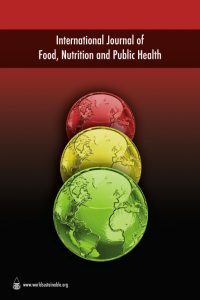 IJFNPH intends to contribute to the improvement of public health, nationally and internationally, through quality research and a better understanding of the science involved in food, dietetics, nutrition and public health. This unique initiative aims to integrate the study of these various disciplines to promote better health for all sections of society. The aim of the MEJELSD is to disseminate the information on latest changes, trends, developments, innovations and activities in the field of Entrepreneurship. The field of entrepreneurship entails areas of study such as leadership, Small and Medium Enterprises and sustainable development. Hence the research in these areas will be incorporated. 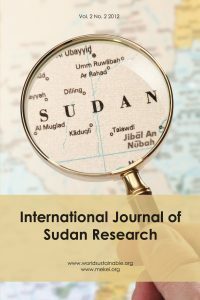 IJSR aims to promote the international exchange of knowledge, ideas and information about the very best research undertaken about Sudan without promoting any kind of political views and/or ideologies among the different stakeholders in and outside Sudan.